3 Bedroom, 3 1/2 Baths, Sleeps 8. Mid week special! 4 free snow tubing tickets for each rental. Sit in the hot tub on the back deck to watch the skiers! House is ski in/ski out - directly on the Southward ski trail. Play pool in the first floor game room. Stone gas fireplaces in the Great room and Master bedroom. Fully equipped kitchen with granite counter tops. Seating for 10 in the dining area. One car garage with driveway that will accommodate 2 other vehicles. 5 TVs (4 are flat screens). Surround sound in Great room. Blueray DVD player. XBox gaming system. WiFi internet access. Queen beds in all bedrooms, with an additional bunkbed in one. Two master bedrooms with ensuite baths. Soaking tub and separate shower in main master. Deck off master overlooking the slopes. Full sized washer and dryer. Gas grill with table and benches on deck. Ski closet. Linens and towels included. Immaculate unit with housekeeper. We bought our home because we love skiing at Seven Springs. 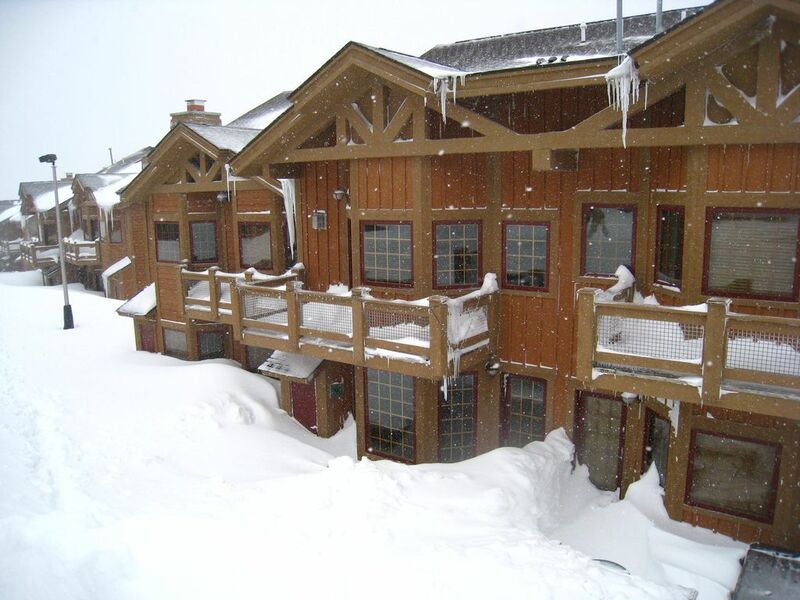 Before building at Southwind, we had never visited the resort in any season other than winter. We soon realized that this is a year round paradise. Tom actually loves it more during the warmer months for the golf, swimming, festivals and biking. Nancy still lives for ski season, but our entire family enjoys all the mountain activities year round. toilet, tub, shower, Beautiful, large double vanity, soaking tub & glass shower. toilet, combination tub/shower, Beautiful full bathroom on main level. toilet, Beautiful 1/2 bath with cedar walls & pedestal sink. toilet, combination tub/shower, Double sink vanity, beautifully appointed. Gas log in great room. Gas log in master bedroom. Parking for 2 in driveway, one in garage. GE Profile side by side with ice maker and water dispenser. Fabulously equipped with 16 place settings. Very well equipped for all your cooking needs. Glasses galore (all sizes & types). Beautiful hickory cabinets with granite countertops. Large table with seating for 7+. Island bar seats 3. In 1st. level wall unit. 1st. level area. Pool table and video games. Paddle boats at Lake Tahoe. Main level deck with grill, table and benches (seats 8) and hot tub. Upper level deck off master bedroom with bistro table and 2 chairs. Walk out the door to the slopes. Main lodge has tennis courts available. Beautiful 18 hole course located at the entrance of Seven Springs. Southwind community private heated pool, access card provided for entry. Open Memorial Day to mid-September. Indoor and outdoor pools at Seven Springs Main Lodge. Private hot tub on rear deck seats 7. Also community hot tub at the Southwind pool and at the Main Lodge. Free shuttle to all Seven Springs locations. The condo was very clean and had everything we needed for our ski weekend. We really enjoyed our stay and would highly recommend this unit! Couldn't ask for anything more, except snow! Just as described. Very nice place. Would love to rent it again. Great location, plenty of space and clean! The townhouse has everything you need for a fantastic vacation. Great location. Well appointed kitchen. The hot tub and pool table were great entertainment. The location is outstanding! We could not have asked for a better place to stay. This was our second stay at this property. My family had an absolutely wonderful time. The place is gorgeous and so convenient for skiing. My boys are able to venture out skiing on their own and the private lift for Southwind residents makes it so easy for them to come back without worry. We also thoroughly enjoyed the hot tub after a long day skiing. Great memories celebrating my son's 13th birthday. Super clean and super mean (mean=good)! - Super close to the slopes and a lift. - well sized bedrooms and a game room in the first floor for kids. Cancellations more than 30 days prior to first day of rental reservation will be refunded all monies paid less 10% administrative fee if the house is re-rented. If home is not re-rented, entire payment will be forfeited. Cancellations within 30 days will automatically forfeit entire payment. Holiday week-ends (Labor Day, Memorial Day, and MLK) - 3 night minimum.